For Warner Bros. the storm is passing. 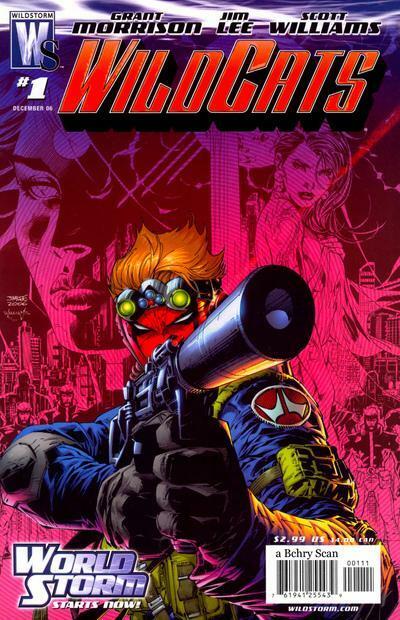 Today after announcing what staff will now work on what coast, where, it was announced the DC aquired WildStorm imprint was coming to an end. Personnally I'm hoping when they say Chief Creative Officer Geoff Johns has plans for the characters "down the road" they don't end up as part of the patchwork DCU, but rather give Vertigo sweet new 'mature reader' friendly characters to play with. 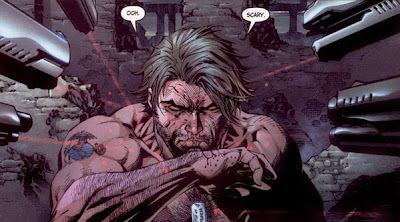 Can you imagine a Vertigo take on folks like Midnighter, Grifter, Ladytron and Deathblow? 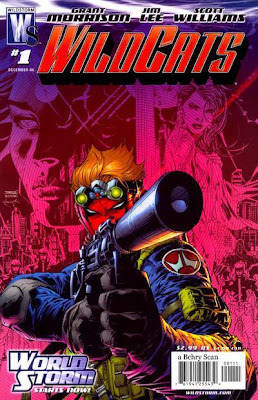 Back when WildStorm made up the majority of my pull-list, it was the publisher on the edge. From Joe Casey's Wildcats 3.0 to Planetary, Steampunk to Alan Moore's America's Best Comics and Kurt Busiek's Astro City, each book may have had a 'superhero' familiarity about it, but it always had a hell of a twist that set it apart. Hopefully what lies next recaptures that. 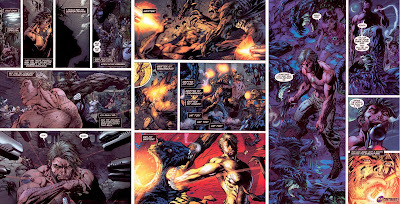 Still, lets crack open a case of the old and relive one of the greatest WildStorm moments, hot from the one issue WildCats relaunch that wasn't, by writer Grant Morrison and artist Jim Lee. Don't let those stats fool you - this was one fantastic book, and ended on a hard-boiled high.